This laser-cut, 10” diameter log bar is 4′ long and has 300 mm long olympic ends giving a total length of just under 7′. 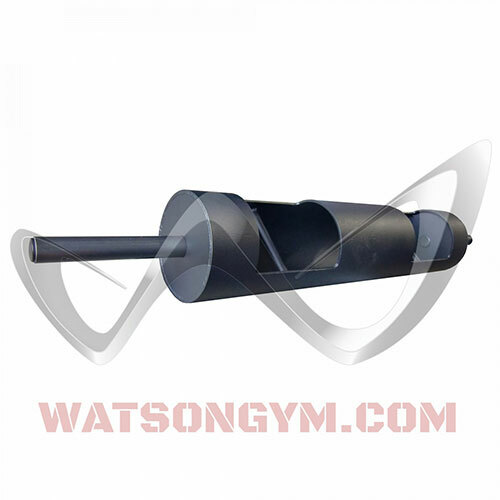 Weighing a massive 50 kg unloaded, the Watson Full Log Bar can be loaded with up to 500 kg of weight. Perfectly balanced, these log bars are great for cleans, clean and presses, military presses, jerk presses, bent-over rows, etc. A great way to build the shoulders, chest and arms while keeping stress away from the shoulders with the neutral grip. An amazing bar for overall power and strength.